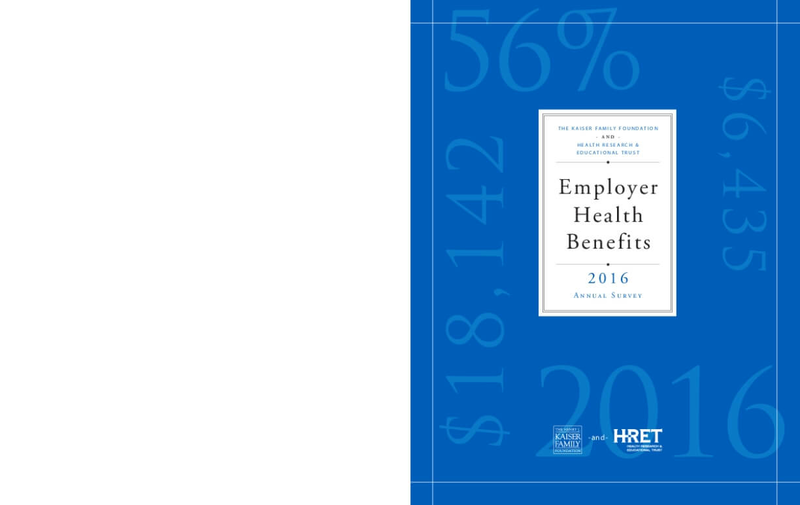 This annual survey of employers provides a detailed look at trends in employer-sponsored health coverage including premiums, employee contributions, cost-sharing provisions, and employer opinions. The 2016 survey included almost 1,900 interviews with non-federal public and private firms. Annual premiums for employer-sponsored family health coverage reached $18,142 this year, up 3 percent from last year, with workers on average paying $5,277 towards the cost of their coverage, according to the Kaiser Family Foundation/Health Research & Education Trust 2016 Employer Health Benefits Survey. The 2016 survey includes information on the use of incentives for employer wellness programs, plan cost-sharing as well as firm offer rate. Survey results are released here in a variety of ways, including a full report with downloadable tables on a variety of topics, summary of findings, and an article published in the journal Health Affairs. Copyright 2016 Henry J. Kaiser Family Foundation, Menlo Park, California, and Health Research & Educational Trust, Chicago, Illinois. All rights reserved.